In a new paper in the journal Progress in Organic Coatings, researchers at four organizations–NIST and industry partners Eastman Chemical Co., the Hyundai America Technical Center and Anton Paar USA–describe three versions of a fast, reliable laboratory method for simulating scratching processes on automobile clearcoats (the uppermost, or surface, layer of an exterior polymer composite coating). 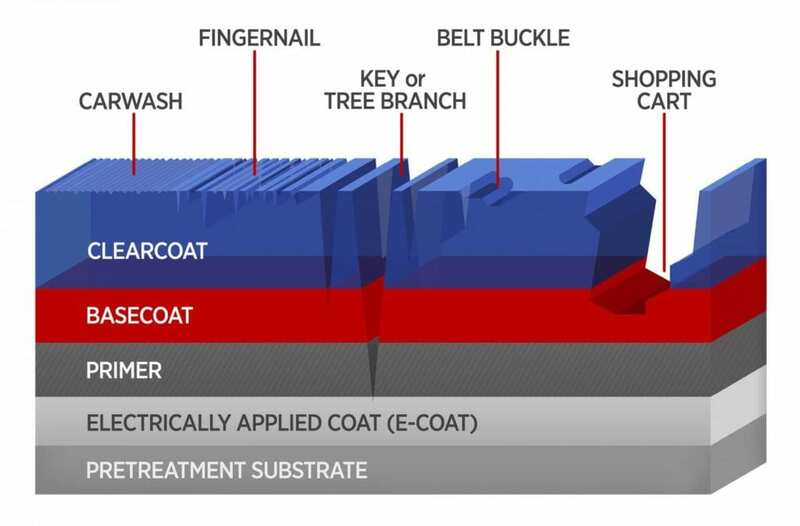 The tests are designed to give manufacturers a better understanding of the mechanisms behind those processes so that future coating materials can be made more scratch resistant and resilient. "Unfortunately, both methods only assess clearcoat performance based on appearance, a qualitative measure where the results vary from test to test, and they don't provide the quantitative data that scientifically helps us understand what happens to auto finishes in real life," said NIST physicist Li Piin Sung, one of the authors of the new paper. "We demonstrated a test method that characterizes scratch mechanisms at the molecular level because that's where the chemistry and physics happens … and where coatings can be engineered to be more resilient." For their test method, the researchers first tapped a diamond-tipped stylus across the surface of a polymer composite sample to map its morphology, then used the stylus to create a scratch and finally, retapped and remapped the surface. Three different scales of scratch tests–nano, micro and macro–were conducted using different size tips and different ranges of force. When scratches in the clearcoat are a few micrometers in depth and width, and occur without fracture, they are referred to as mars. These shallow, difficult-to-see deformations, Sung said, are most often the result of car washing. She explained that the nano-scratch test performed at NIST provided the best data on the mechanisms of marring and light scratches while the micro- and macro-scratch tests conducted by NIST's partners were better at yielding detailed information about the larger, deeper and more visible deformations known as fracture scratches–the injuries caused by keys, tree branches, shopping carts and other solid objects.